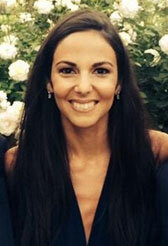 Sheba Jafari, MSTA, CMT is Head of the Global Macro Technical Analysis team at Goldman Sachs. She oversees GS Techs Technical Strategy focusing on Technical Analysis of the global Foreign Exchange, Fixed Income and Commodity markets. Prior to joining the firm, Sheba worked as the Chief Technical Strategist at Ray’s Capital Markets, a hedge fund based in Hong Kong. She was formerly a Technical Analysis Specialist at Bloomberg in London. While in Hong Kong, Sheba founded and served as Chair of the CMT Association Chapter there. Sheba has qualified as an MSTA, certified member of the Society of Technical Analysis (UK) and as a CMT (Chartered Market Technician). She has received two Masters Degrees from the University of Edinburgh and the University of Grenoble, France.